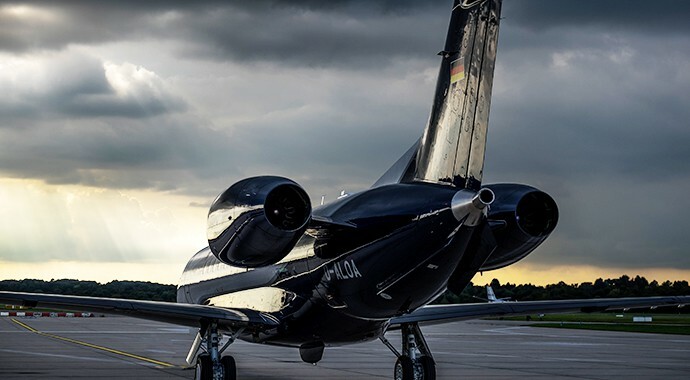 With this arrival, AIR HAMBURG's fleet now stands at 22 aircraft, from turbprops and light jets all the way up to our flagship 13-seat Legacy 650 heavy jets. 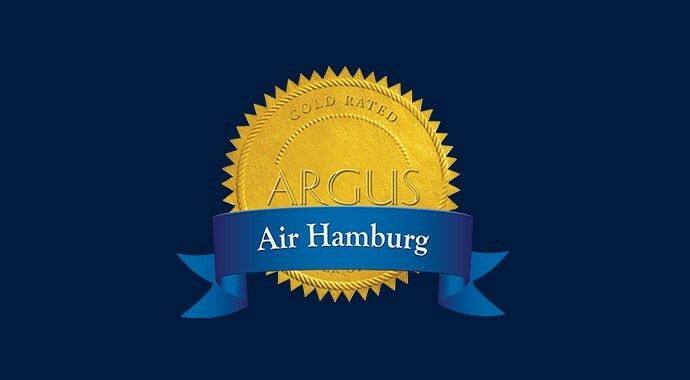 After a thorough audit of our systems and processes, AIR HAMBURG was awarded in March the prestigious Gold rating by Argus. The aviation safety agency was impressed by our company's strong ethos of safety and recognised this as they awarded us the rating that pits us among the world's top aircraft operators. Air Hamburg’s newest Brazillian signing, D-ALOA, a Legacy 650, is here! Air Hamburg’s 8th Embraer Legacy arrived in Hamburg via Gran Canaria where she received her usual water cannon welcome from Hamburg airport’s firefighters. See the aircraft cabin for yourself here! 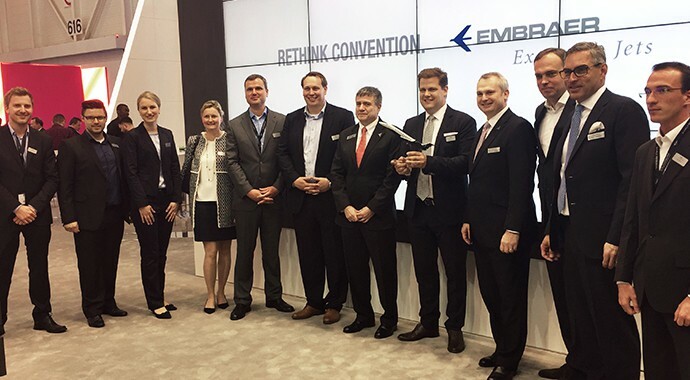 For the exhibition opener, Marco Tulio Pellegrini (CEO Embraer Executive Jets) and Simon Ebert (Partner AIR HAMBURG) announced the purchase of another Legacy 650 to strengthen the AIR HAMBURG fleet. Delivery is planned for September 2016. Meet the newest member of our fleet with this virtual tour of the aircraft. If you are not lucky enough to climb aboard personally in her home territory of the Côte d'Azur, you can enjoy this detailed view of her interior, fixtures and fittings. Here is a behind-the-scenes sneak peak of our beautiful D-AZUR before she begins her busy summer schedule! 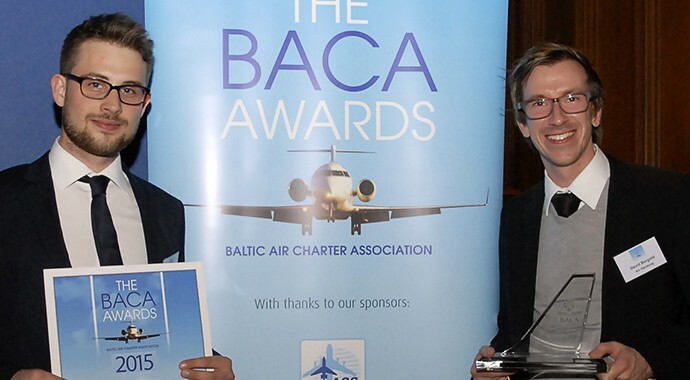 AIR HAMBURG is delighted to be the 2015 recipient of the Baltic Air Charter Association's "BACA Global Excellence Award". Presented to AIR HAMBURG's David Bergold in a ceremony in London's Guildhall on October 14th, the award celebrates special commitment to quality and service within the business aviation industry as a whole. 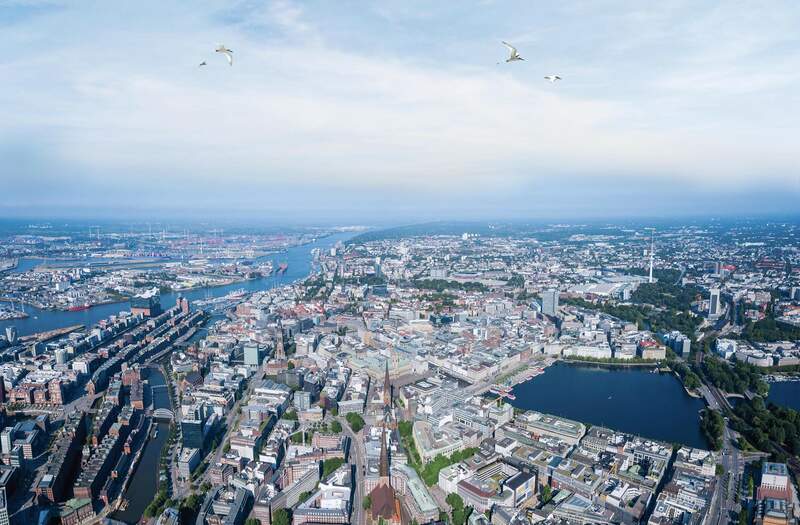 As the AIR HAMBURG fleet grows, we look forward to maintaining and continually improving our "Simply Personal" service that has been recognised at this years' BACA awards. We would like once again to thank all of our colleagues and clients within the industry that nominated and voted for AIR HAMBURG as winners of the award! 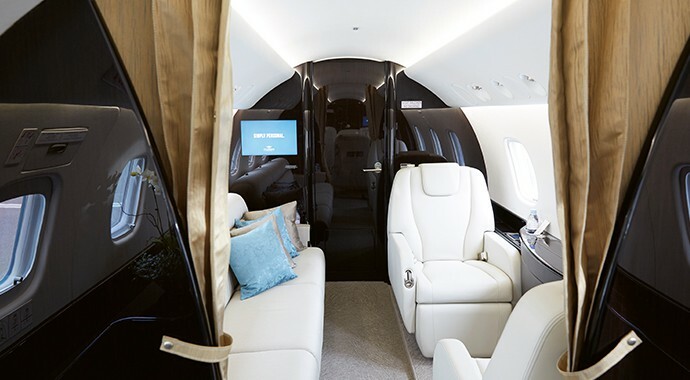 Whether you are heading for a European or an intercontinental destination, we fly you in the lap of luxury aboard our 11 modern Business Jets, maintained in strict compliance with EU regulations. 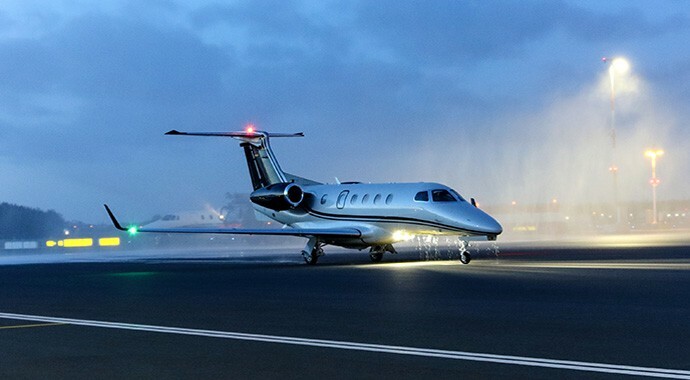 Our fleet consists of: Beechcraft King Air 200, Citation Bravo, Citation 525, Citation CJ3, Embraer Phenom 300, Citation XLS+ and the flagship Embraer Legacy 600. Which jet will be yours? 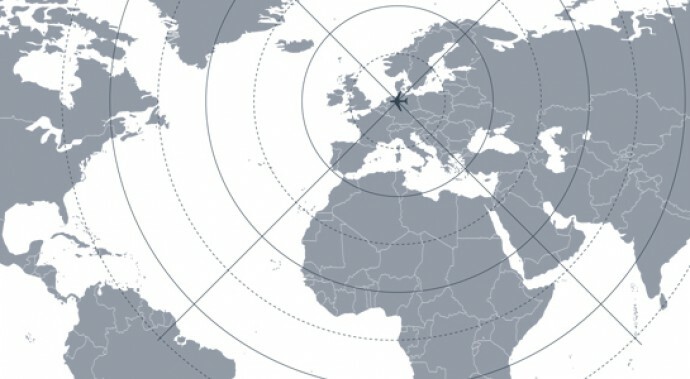 Find the right jet for your destination.